Navy chinos are one of the most reliable and flexible things a guy can have in his wardrobe. Learn these tips and tricks on how to style them, and you’ll never be stuck for something to wear again. Read more Men's Style Guide features and check out our Store. If we were fans of keeping it brief here at The Idle Man, we’d wrap up this post in three words. 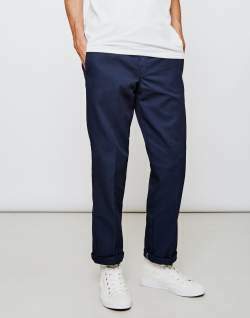 What to wear with navy chinos, or even how to wear chinos? Pretty. Much. Everything. If you’ve not got at least one pair of the most versatile of leg coverings in your wardrobe, then you need to sort it out pronto. They’re no substitute for a tailored trouser, but still lend themselves perfectly to dressing up, dressing down and somewhere in between. Here are some suggestions for styling your navy chinos for all kinds of social occasion. 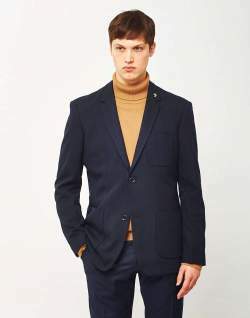 Navy isn’t the first colour that springs to mind when you think chinos, with beige and khaki shades riding much higher in the popularity stakes. 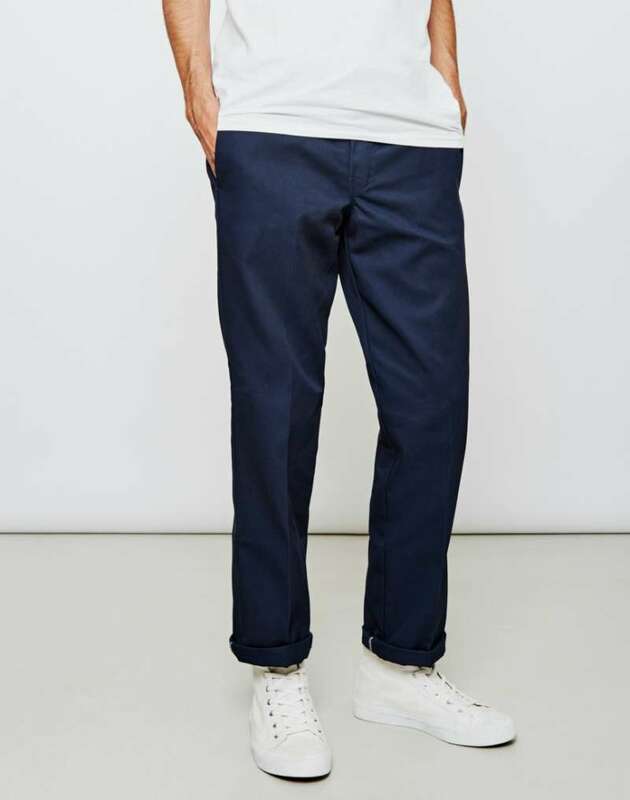 The navy chino should not be overlooked in favour of its lighter coloured sidekicks. 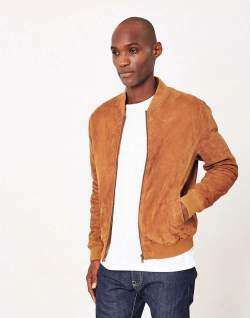 Even the smartest of jeans can still have an air of informality and make whatever you’re wearing on top look casual too. Step forward the navy chino, and something magical happens to your outfit. 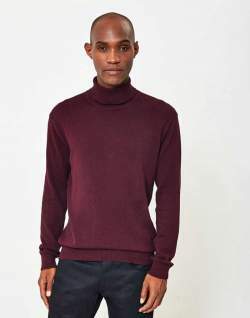 The soft lines and lightweight fabric offer a much smarter edge, and before you know it you’ve bridged that troublesome gap between jeans and formal trousers. Add a denim shirt for a casual look. Navy coloured chinos work a treat with a lighter blue denim for a youthful and modern vibe. Roll sleeves up, or keep them down, both look good. The shirt also works well done up, or open to reveal a plain or printed T-Shirt. Some men aren't fans of double denim, so with a pair of chinos you remove this issue from the equation and can create an impressive outfit, just by combining these two staple pieces. 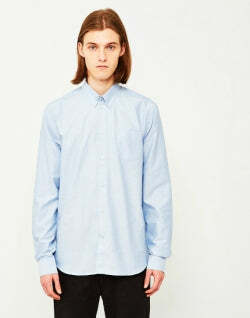 Because the shirt and your trousers are in the same colour palette, you need to be careful what you pair with them. 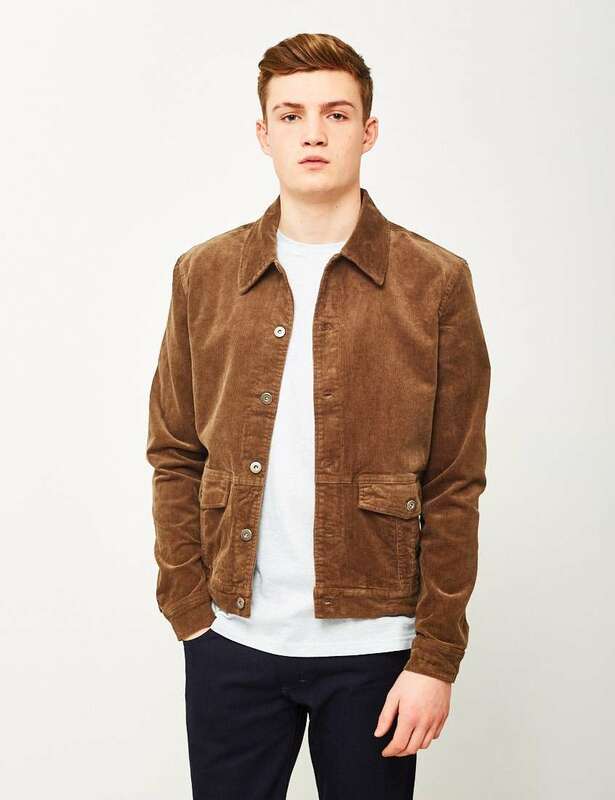 For a more summer inspired look, then take a white, or lighter coloured blazer and throw that over the top; then add a pair of brown derby shoes or loafers to top it all off. 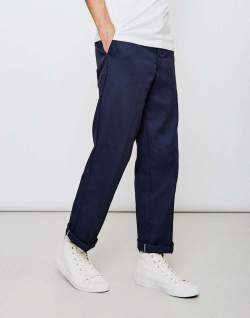 The slightly more conservative feel of the navy chino means you can afford to be a little more experimental with what you put on your top half. Give a long or short sleeved patterned T-Shirt a go in the warmer months, stripes or even floral are winners. An all over print works well and would see you right for evening drinks in a smart bar. It might even do the trick for a work outfit if your dress code permits. The outfit below is a prime example of how you can wear a check shirt and look great. It's a style so simple that you can imagine yourself in it without much effort at all. A Shirt could easily work in a casual setting as well as in something more formal and when paired with some white trainers, it's hard to deny it looks good. A decent quality white shirt is a great piece of men's summer fashion. Simple but striking, you can’t go far wrong with this clean and crisp look. Tan is also a great mate of navy, so introduce another element with a belt and shoes in this shade. Summer drinks night, sorted. Take a look at the outfit below to get a feel for this look. It might seem like an incredibly simple combination and that's because it is! If you pick up a decent pair of chinos you can really show them off with a crisp white shirt on top. White shouldn't be your only option though, you can think about a lot of other plain shirts that would also be pretty impressive. Whether it's a lighter shade of blue, pale pink or a soft yellow, you'll find they'll compliment your navy pants very well. There's also the option to try out something different and go for a vibrant colour but that will totally depend on whether your personality can pull it off. If you think you can, then by all means go for it! One of the biggest trends that we're seeing at the moment is the tonal trend, an all-in-one look. This may seem a little much for some people, especially with a colour such as navy, but giving it a go won't hurt. 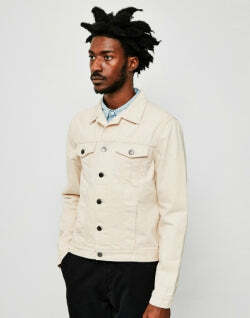 Try getting a blazer that's in the same colour hue of your chinos, or vice-versa, to keep the look as a whole together. 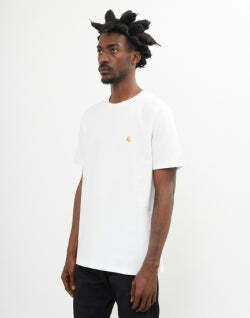 If you're going for tonal, then team a navy T-shirt underneath for a light outfit perfect for the Spring/Sumer months. 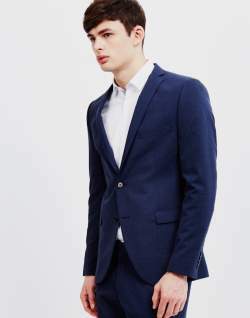 When it comes to smart casual for men, then keep the blazer and chinos the same, but add a coloured jumper or shirt underneath to break the look up. I know what many of you are thinking, "what to wear with blue chinos?". Well, it's a colour combination you can trust. 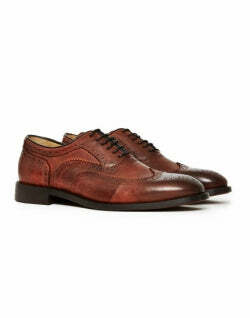 A pair of brown shoes, whether they be desert boots or brogues, you'll find they work. All too often men's outfits are let down by a poor choice of footwear so you should always take a little bit of time to think about what shoes will work with your look. Check out our video to get an idea of what shoes will work best. Here are a few famous faces that are wearing them well. It's always important to remember that you might think you look like Ryan Reynolds, but the reality can be very different. It's a great way to see what combinations work but don't get too caught up in getting the exact outfit, you can always think about similar styles or shades that might not be an exact match. Navy chinos are a classic of menswear, it's no surprise that so many different celebrities have been spotted in a pair. Ryan Reynolds goes for a more rustic or heritage look with this outfit by teaming a red flannel overshirt with a pair of sturdy and durable boots. A great look for the Autumn months, it incorporates some classic pieces to create a stylish and casual look. Hollywood hard man, Tom Hardy, perfectly downplays a pair of lighter navy chinos at the Cannes Film Festival. Teaming them with a fairly tonal look, he gives an air of devil-may-care with a scruffy beard and messy hair. He hits the nail on the head with a pair of brown brogues, which heighten the outfit somewhat, and the workwear inspired navy overcoat tops the look off. We're taking a look at some real life examples of navy chinos out and about on the streets of London. It's probably the simplest way to find outfits that will work for you by seeing what works on other guys. You'll want to be careful though, it can be something you love on someone else and then decide that it will be perfect on you, but this isn't always the case. Everyone's different if you're a bigger built or even have different coloured hair the outfit might not work as well. As much as you might love it on someone else, take a little time to consider if it will work for you. Keep that in mind when you're checking out the outfits below and keep this in mind when you're out in the street to see if there are any other outfits you want to emulate. Stick to classic shapes and shades. Make sure that they fit you perfectly. Match with tonal or patterned pieces. Team with either brown shoes or white trainers. 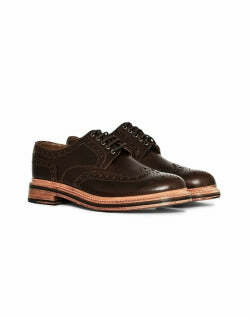 Wear them with a white shirt for a smarter look, or play them down with a simple T-shirt.